Visit the GPAT official website. Download the admit card and take a printout of it and keep it for further reference. 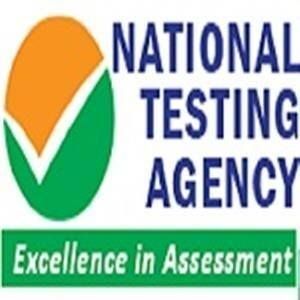 GPAT 2019 Admit Card was released by National Testing Agency (NTA) on January 7th. By using the Registration Number and Date of birth, applicants can obtain the admit card by visiting the official website. Availability: Once the candidates have completed the GPAT registration process successfully, a GPAT 2019 Admit Card or hall ticket will be issued to the candidate. AICTE GPAT Admit Card Date: The GPAT 2019 Admit Card will be available from 7th January 2019. Admit card download: The GPAT 2019 Admit Card (GPAT hall ticket) can be downloaded from the official website of the AICTE-GPAT National Testing Agency website (www.ntagpat.nic.in) using candidate’s Application Number and Password. Password recovery: In case you have forgotten the password, you can retrieve it using your password recovery question. Requisite: Admission to the GPAT exam centre will be prohibited if in case you fail to carry or download the GPAT 2019 admit card. It is a mandatory document to get the entry to the examination hall. Note: The Hall ticket (GPAT 2019 Admit Card) will not be sent to the candidate by post, it is to be downloaded from the official site only. Step 2: The candidates must click on the link which is given for downloading the admit card. Step 3: Now, the candidates are required to enter their Application Number, Password & Security Pin in order to download the GPAT 2019 Admit Card. Step 4: Click on Sign In button and GPAT 2019 Admit Card will be displayed on the screen. Steps 5: The candidates are required to download the GPAT 2019 Admit Card and take a print out of the admit card. Instructions to be adhered by the candidates in the GPAT 2019 examination hall. Presence of candidate: Candidates must report at the GPAT Exam centre on the scheduled date and time as mentioned on their hall ticket. Note: Candidates without a valid admit card will not be allowed to appear for the GPAT 2019. Error reporting: If a candidate finds any discrepancy or errors regarding information furnished on GPAT 2019 admit card, then he/she will be required to report it to the helpdesk of exam conducting body- AICTE. Suppose a candidate does not bring his/her admit card to the GPAT exam. Will he/she be allowed to write the exam? No, the candidate has to bring the GPAT admit card otherwise he/she will not be allowed to write the exam. Will the GPAT admit card be available on the official website? Yes, the GPAT admit card will be available on the Official website of AICTE-GPAT. The candidates can download the admit card using their login ID and password. What is the procedure to download the GPAT admit card? The admit card will be issued to the candidates in the second week of January 2018. The candidates have to download the admit card from the official website. The candidates have to enter their login ID and password and then download the admit card. In case the candidate has forgotten the password then they can retrieve it using their password recovery question. Will i receive my admit card via post? After applying will I get my Admit Card via post? No you will have to check the GPAT 2017 examination website and download the Admit card when its availabe. incase of a lost admit card , what can i do? The GPAT 2017 admit card can be downloaded from the website by entering the Application ID and password to log in. Will I get the admit card offline or do I download it? The candidates who have registered successfully for the examination, a hall ticket or admit card will be issued to the candidate in the first week of February. The GPAT hall ticket (GPAT admit card) can be downloaded from the official website of AICTE-GPAT using candidate’s login ID and password. Admit card will not be sent to the candidate by post, it is to be downloaded from the official site only. Will I get a hard copy of the Admit Card for GPAT 2017? The students will not get a hard copy of the admit card. The admit card will be available on the official website. It will also be sent to the student's Email ID. Hence, students are required to maintain a valid Email ID. What details will be mentioned in the admit card? Photo, name and signature of the candidate, GPAT Roll number, test date, time, reporting time at the venue, venue name, venue address and brief instructions for the candidate. When will the hall ticket be released for January 2017 exam ? The hall ticket will be made available to the candidates on 16th January 2017 on the official website which is www.aicte-gpat.in. When will I get my Amit Card?